Are you a science student at university and thinking about science career options after you graduate? There are many rewarding career options available within the commercial sector and STEM Graduates, a specialist graduate recruitment agency, can highlight career paths outside academia. Scientists are renowned for their ability to seek facts, challenge conventional assumptions and gain knowledge through careful analysis. There are opportunities to transfer the knowledge and research techniques acquired throughout university into a commercial setting. Broadly speaking most commercial roles are research and laboratory focused, or consultative and business focused. 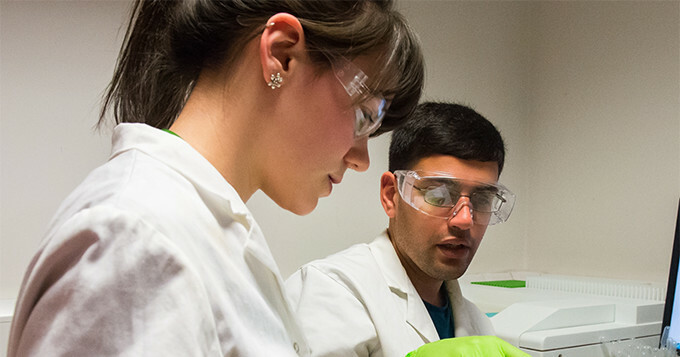 The former relies on the type of thorough research, testing and analytical techniques that form the “practical” part of most scientific degree courses. Commercial companies are often able to invest heavily in state of the art laboratories. This can provide an inspiring working environment for graduates who have been used to project work in university labs. Graduates with strong “soft skills” are likely to find that their skill set is valued and rewarded by scientific employers. Many companies hire graduates who can articulate their products to a technical and non-technical audience. These roles are often commercial or sales focused and can lead to long-term opportunities. It is common for senior managers and business owners to succeed by applying their technical, scientific knowledge to their company’s business strategy. Science graduates should begin their job hunt by considering their strengths and researching suitable careers. Once you have decided whether you are seeking a role that is technical, sales based or consultative you should then consider the “size” of company that you would like to join. Science positions offered by small and medium sized enterprises (SMEs) are not marketed on campus and can be harder to find. It is worth noting that over 95% of employees in the UK work for companies employing less than one hundred staff and that only 14% of graduates join a structured graduate scheme with a large employer. Whilst it may be harder to identify roles with SMEs, they do exist and can be found. With this in mind students and graduates need to consider whether they want to target an SME or join a large company. Broadly speaking larger companies are normally able to offer a structured career path and a generous benefits package. They can also provide a recognisable name on a CV and this may help you to obtain a second job in the future. Smaller employers are often able to offer a more personal working environment. You can often work closely with the owners of a small firm and gain a sense that your personal contribution has a direct impact on the success of the business. For students and graduates who are undecided we would recommend applying for roles with small and large employers so that you can attend interviews and compare the “feel” that you get from each type of company. Once you have identified specific roles that they are suited to you and the size of employer that you would like to join then you are ready to begin identifying companies that may be the perfect match. As part of this one final factor to consider is whether the vacancies that you are targeting exist within a growing sector. Graduates who target an industry with strong growth prospects can expect their career opportunities to be far better than those who join a company that is in a declining sector. There may be a lot of factors to consider but students and graduates who have studied a scientific discipline are certainly capable of researching career opportunities. Job hunters who can identify the right type of role, within the right size of company in a sector that is growing are likely to be rewarded with an outstanding scientific career outside academia. Visit STEM Graduates at stemgraduates.co.uk or find out how Registered Scientist status can support your professional development.